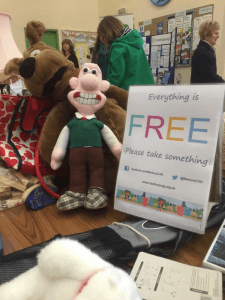 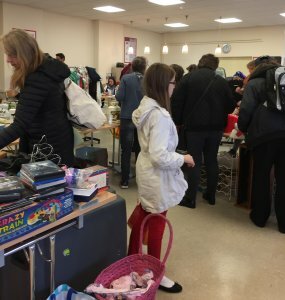 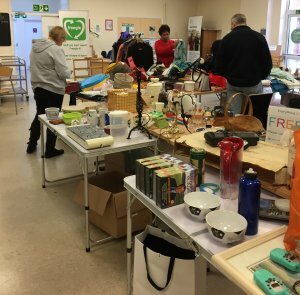 We hold ‘Give or take and More’ events 3 times a year in Banbury, inviting local residents to bring along things they no longer need and possibly pick up something useful too – all for free with the aim of promoting REUSE and reducing waste. 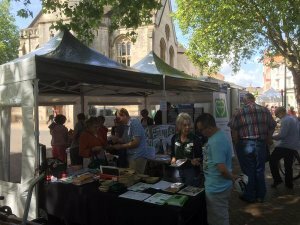 We also invite guest stalls who provide activities and advice on living sustainably so there is always plenty for visitors to enjoy. 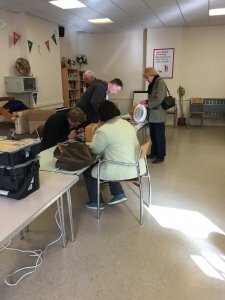 Bring along your small electrical items so that our fixers can repair them whilst showing you how it’s done. 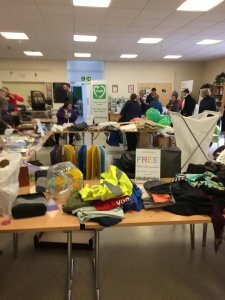 We are always looking for fixers so please do get in touch anytime if you would like to be involved. 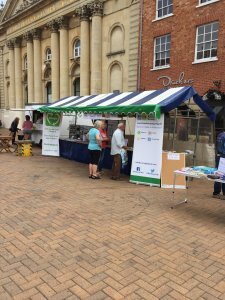 We hold indoor events in the town centre during March and October with an outdoor summer event in the Market Place during June/July (Please join our mailing list to be first to know of our upcoming event dates). 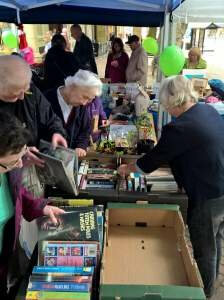 Our fixers chat to BBC Radio Oxford’s Banbury Takeover.